Tarheel ChalleNGe Academy – Salemburg welcomes Ronnie McNeill as their new director. Mr. McNeill is a graduate of North Carolina Central University with a Bachelor of Arts in History with a Minor in Geography. While a college student, Mr. McNeill enlisted into the United States Marine Corps Reserve, after graduation he reenlisted for active duty and attained the rank of Sergeant. As a Sergeant, he served a tour as a Drill Instructor at the Marine Corps Recruit Depot, Parris Island, South Carolina, from February 1988 through February 1990. Honorably discharged from the Marine Corps in 1993, Mr. McNeill returned to North Carolina and began a new career in education as a Social Studies teacher and coach with Richmond County Schools. In June of 1997, he accepted the position of Warehouse Manager for the City of Lexington, North Carolina. While in Lexington, he reenlisted in the US Army Reserves to serve as a Drill Sergeant with the 108th Training Division, serving in units at Fort Jackson and Fort Knox. While at Fort Knox, his performance as a Senior Drill Sergeant resulted in him being awarded the Meritorious Service Medal. After being promoted to Master Sergeant in 2014, he was transferred to the 78th Division as an Observer/Coach/Trainer. He is still assigned to this position, and is anticipating retirement in the first quarter of 2019. 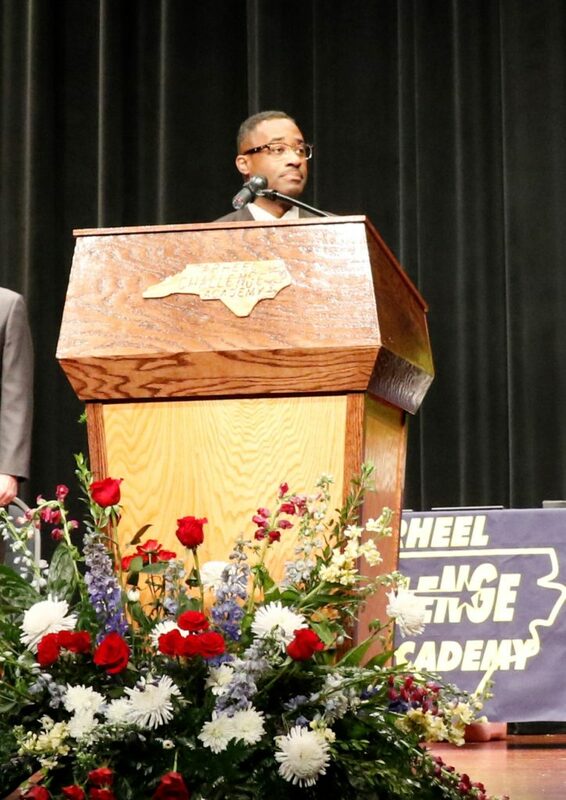 In August, 2015, Mr. McNeill joined the Tarheel ChalleNGe Academy staff, being named the deputy director for the new campus located in New London serving in this position until his appointment as director at the Salemburg campus.